This Thanksgiving, like so many Thanksgivings, I am sure many will sit around the Thanksgiving Day feast and say what they are thankful for. Of course there will be the usual, “I am thankful for my family”. There will be a few, “I am thankful for my health”. There may even be a materialistic few, who actually give thanks for their possessions, their homes, their cars, all the money they have been able to obtain. Some will give thanks for the men and women, around the world, who are unable to be with their families on this holiday, due to the fact they are wearing the uniform of the United States Armed Forces, protecting our freedoms, and giving us the chance to be free and to spend time with our families, giving thanks. These are all good things to give thanks for I suppose, though they have become a tiny bit cliché. 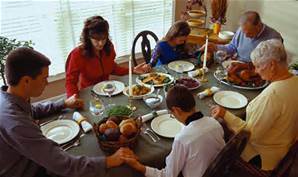 Of course, Thanksgiving is seen as a Christian holiday, so the Christians will be giving thanks to God, in the name of Jesus Christ. But really, Thanksgiving is and should be for all. So I am sure their will be many people, of many faiths, giving thanks in their own manner. So, as I sit and ponder the upcoming holiday, and the family gathering, and in anticipation I might be called upon to say Grace over the meal, I have tried to think of what I might say, which would not sound cliché, or superficial. I am thankful that I am no longer addicted to drugs and alcohol, to the point where I would risk everything. My family, my career, to the point that I would steal and hurt others, just to satisfy my desires. I am thankful that I am not the mother of a young black man shot by the police. I am thankful that I am not the wife of a police officer shot by a young black man. I am thankful that I do not live in a country that is torn by war, a country I am forced to flee to save my family. I am thankful that my child has never known the fear and terror of bombs going off in the streets outside our home. I am thankful, I have never had to ask for help, from anyone to protect my child’s life, only to have them say no. I am thankful, I never had to leave the state in which I was born, let alone my native country, to find work and a better life for my family, and real freedom. I am thankful, I have never had to fear for my life because I believe differently than the majority around me. I am thankful, that I can speak my opinion without the fear of being locked up. I am thankful, I am not a contractor in Sussex County, where you can’t do anything without some group opposing it. I am thankful, my wife and I, so loved each other, that we gave birth to a child, and did not terminate her life out of selfishness. I am thankful, my life, though full of mistakes and wrong turns, has led me to be a person who attempts, though not to perfection, to keep an open heart and an open mind. To not judge people based on the color of their skin, or their religious beliefs, to not judge them solely on their political leanings. But to judge all people,based upon their character, on how they treat others. Of course all of those things, like family, health, wealth, are what we are expected to give thanks for on Thanksgiving. And really, who wants to even think about all of the bad things in the world, on a day when you are with your family and friends? It is so easy to be thankful for the things you have, it is harder to be concerned for all the things others don’t have. Maybe the best way to show God our Thanks, is to recognize all we have, by recognizing all that others lack. The pain that we see around us, as we go through our daily lives of work and play, the tragedy of a mother so lost and confused, that her only alternative is to end the life of her unborn child. A father so desperate to provide for his family, that he will travel thousands of miles to risk his life, to illegally enter this country, a country where he doesn’t speak the language, and a country where for the most part he is not wanted. The fear of a black mother, who has to worry that her son may be arrested or shot, simply for walking in the wrong neighborhood. A wife who knows she may be kissing her police officer husband goodbye for the last time, every time he leaves for work. Whole families fleeing war-torn nations, asking the great United States to take them in, to give them a chance at, “Life, Liberty, and the Pursuit of Happiness”, only to be told, “go home”. So this Thursday when we sit down to our turkey, mashed potatoes and yams, take a moment, a real moment, and think of the things we all can truly be thankful for. May God Bless and Love us all. 9 Comments on "Be Thankful"
…with the minor exception of most Christians in the world. 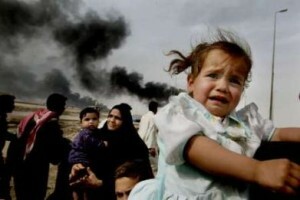 I am thankful that my child has never known the fear and terror of bombs going off in the streets outside…. You should be thankful that your child didn’t grow up in New York or Boston. Remember 911? Remember the Boston Marathon, when a Muslim set a bomb next to a five-year-old? Why do you have to turn a post on Thanksgiving into a political screed? On this Thanksgiving, I am thankful that there are millions of Americans with the sense to realize that we are facing a relentless Muslim fanaticism every bit as dangerous as the privations endured by the Pilgrims in New England nearly four-hundred years ago. Islam means “submission” or “surrender.” Are you familiar with the definition of those words? The Christian is urged to seek God. The Muslim is required to surrender to him. The Christian spreads the word; the Muslim conquers. I am thankful that in this great nation, people have the right to openly practice their religion- or to not practice any religion at all. I am thankful that I don’t live in a Muslim hell-hole, where failure to “submit” to the state religion means misery, dismemberment or death. Thank you courageous Pilgrims for your indomitable spirit and perseverance- for establishing the foundation for the building of the greatest nation on earth. The United States of America. Damn Rick, did you just make a case to refuse the refugees using the Pilgrams ? You do know the Pilgrams were escaping religious persecution, right? I also notice in quoting me you conveniently left out “outside my home”. Come on man you’re better than that. Yes I have been lucky to have so far live in an insulated part of our nation. This my thankfulness. As for your thankfulness of religious freedom here, it would seem that you believe we can practice any religion we like, except Islam. And by the way, the translation of Islam is , “submission to God”. Again you tend to leave out important parts. The problem is not Islam, it is the religious extremists who have taken it as their shield to do evil. They would have you submit to them and their interpretation of Islam, and not to God. No different than Jim Jones. Damn Rick, did you just make a case to refuse the refugees using the Pilgrams ? Yes, I did. In case you didn’t know it, the Pilgrims weren’t refugees. I am thankful that my child has never known the fear and terror of bombs going off in the streets outside our home. You should be thankful that your child didn’t grow up in New York or Boston. I am more worried about Americans being threatened by Muslim terrorists than I am about the fate of Muslims in the Middle East. It is their mess…let them clean it up. After all, aren’t most Mohammedans “good Muslims?” Then getting rid of the violent minority shouldn’t be a problem, right? I give thanks that I live in the United States, where, unlike in Islamic countries, women are not stoned or beheaded for driving a car, reading a book or failing to hide their face. Islam is the “religion of peace”…what a joke. Muslims, keep your “peace” in the Middle East. Terrorists are not welcome here. Rick, the Pilgrims were not technically refugees, which I did not say they were, I said they were fleeing religious persecution, which they were. What you are really saying is, you have no concern for your fellow man, unless they look as you do, speak as you do, believe as you do, and vote as you do. I personally believe I can be concerned about all of my fellow human beings, this would also include those who share my values and beliefs. Your generalizations about Islamic countries demonstrates your lack of real knowledge. The Islamic countries where the things you describe actually take place are not the majority of so called Islamic countries. Many of the Islamic nations have actually has women as Prime Ministers and other high level positions. Many are truly westernized. But to fulfill your need to spread hater and fear, you must generalize them as “Islamic countries”. You attempt to talk tough, but your words speak of fear. I know they weren’t. I guess you needed a Wikipedia update to find out for yourself. There’s nothing “tough” about common sense. There’s plenty of Muslim nations in the Mideast and elsewhere to take them. Let them look out for their own. They are not our responsibility. Well, no one I am aware of has ever claimed that stonings and beheadings kill anywhere near as many Muslim women than the “Shock and Awe”, drone strikes and “special ops” meted out by our “Christian” country. Yes Rick, we dare to allow everyone to have the same opportunity to give their views. To me that is conservative. 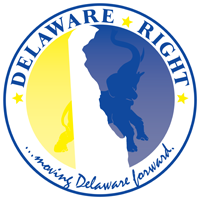 But I guess your idea would be, “let those liberals stay over there at Delaware Liberal, they’re not our problem, let them take care of their own “.